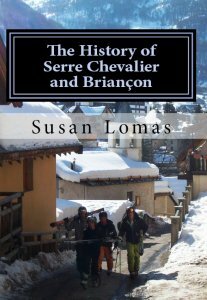 The History of Serre Chevalier and Briançon, English edition. 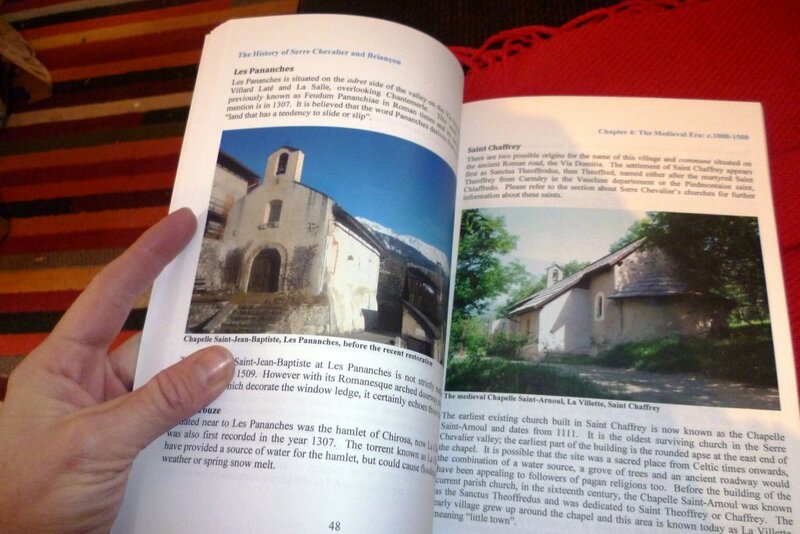 ‘The History of Serre Chevalier and Briançon’ was published in December 2012 by CreateSpace. It is the first book written in English about the complete history of the Serre Chevalier valley which is located in the southern French Alps. The project required five years of research and three years of writing. This book is now available from Amazon websites worldwide. There is also a Kindle version. I am hoping to publish a French version in the near future, as there has been considerable interest within the French community. ‘The History of Serre Chevalier and Briançon’ weaves together fascinating places, people and historical events from France’s spectacular Serre Chevalier valley into a rich tapestry of words and pictures. Situated in the sunny southern French Alps, Serre Chevalier and Briançon are part of the ancient province of Le Dauphiné. From the age of Neolithic nomads to skiers and snowboarders, the valley has been visited by merchants, pilgrims, soldiers and alpine enthusiasts. Beautiful churches and chapels, some with remarkable fifteenth century fresco paintings, transport us back in time to an era where religion held a powerful influence in everyday life. Generations of families have lived and worked in the Serre Chevalier valley, often in very harsh conditions, as farmers and cultivators of the land, sometimes as miners and textile workers too. The town of Briançon, at the hub of five very different valleys, has its own significant military and commercial history since it is situated so near to the frontier with Italy and the former rival Duchy of Savoy. The twentieth century brought much needed prosperity to the valley with the development of winter sports and tourism, but Serre Chevalier is more than just a ski resort. Beautifully illustrated throughout its 400 pages with hand-drawn maps, antique postcards and over 200 recent colour photographs, ‘The History of Serre Chevalier and Briançon’ also includes descriptions of five popular local walks. The detailed contents section makes it easy to research people, events and places of interest. This book is the perfect companion for anyone who has fallen in love with the Serre Chevalier valley. The book has been well-received in the Briançon and Serre Chevalier area. Many hotel and apartment owners have bought copies to lend to their guests. It has also been used a reference book by teachers at the Centre Regional d’Education et Tourisme in Briançon.